PASADENA, Calif. - A NASA project that allows students to use a camera on a spacecraft orbiting Mars for research has received a new education prize from the journal Science. NASA's Mars Student Imaging Project (MSIP), a component of NASA's Science Mission Directorate education and outreach activities, enables students from fifth grade through college to take an image of the Red Planet's surface with a camera aboard NASA's Mars Odyssey. Students study the image to answer their research questions. After the image comes back to Earth, the students are some of the first people to see the picture and make their own discoveries. Established in 2012, the journal's Science Prize for Inquiry-Based Instruction encourages innovation and excellence in education by recognizing outstanding, inquiry-based science and design-based engineering education modules. A panel of scientists and teachers selected MSIP as one of 12 education projects from fields such as biology, chemistry, physics and Earth sciences. Designed to fit within existing science curricula, MSIP targets required science, technology, engineering and mathematics (STEM) objectives and standards for easy integration into classrooms. Authentic research is at the core of the award-winning project. "At a time when the U.S. critically needs to develop the next generation of scientists and engineers, such student-led discoveries speak to the power of engaging students in authentic research in their classrooms today," said Jim Green, director of the Planetary Science Division of NASA's Science Mission Directorate in Washington. "Not only is the chance to explore Mars motivating, it shows students they are fully capable of entering challenging and exciting STEM fields." Since MSIP began in 2002, more than 35,000 students across America have participated from public, private, urban, suburban and rural schools of all sizes, grade levels and student abilities. In 2010, a seventh-grade MSIP class in rural California discovered a previously unknown cave on Mars. 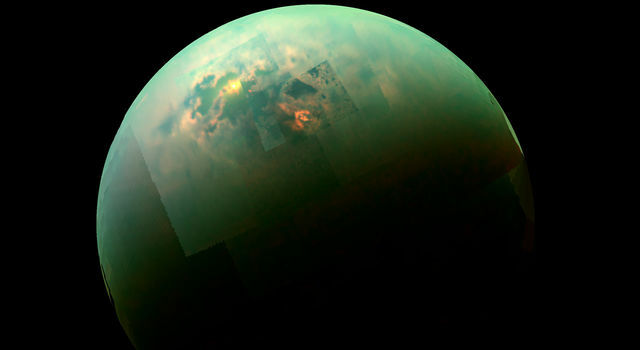 A student presented their results at a major planetary science conference. "The Mars Student Imaging Project is a perfect example of how NASA can use its missions and programs to inspire the next generation of explorers," said Leland Melvin, NASA associate administrator for education in Washington. "If we want our students to become tomorrow's scientists and engineers, we need to give them opportunities to do real-world -- or in this case, out-of-this-world -- scientific research, using all of the tools of 21st century learning." 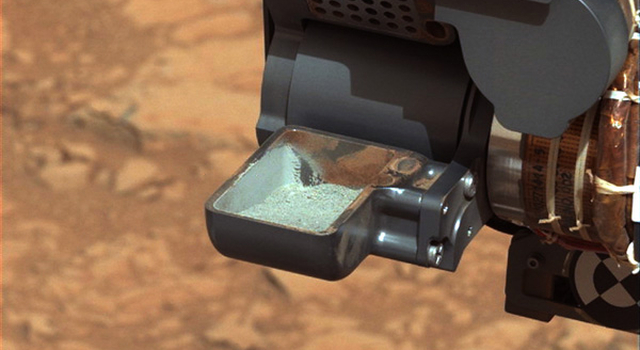 MISP is a key component of NASA's Mars Public Engagement Program. The Mars Education Program at Arizona State University in Tempe, under the direction of Sheri Klug Boonstra, leads MSIP. Philip Christensen, principal investigator for the Thermal Emission Imaging System (THEMIS) visible and infrared camera aboard Odyssey, is MSIP's mentor. 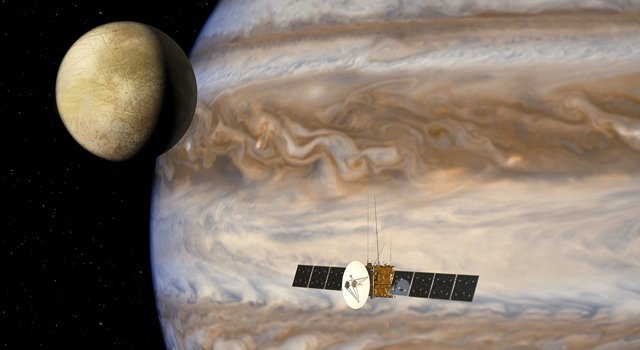 Orbiting Mars since 2001, Odyssey has operated longer than any spacecraft ever sent to Mars. The mission's longevity enables continued science from instruments on the orbiter, including the monitoring of seasonal changes on Mars from year to year. Odyssey also functions as a communication-relay service for NASA's Mars rovers. NASA's Jet Propulsion Laboratory in Pasadena, Calif., manages the Mars Public Engagement Program and the Odyssey mission for the Science Mission Directorate in Washington. Lockheed Martin Space Systems in Denver built the orbiter. 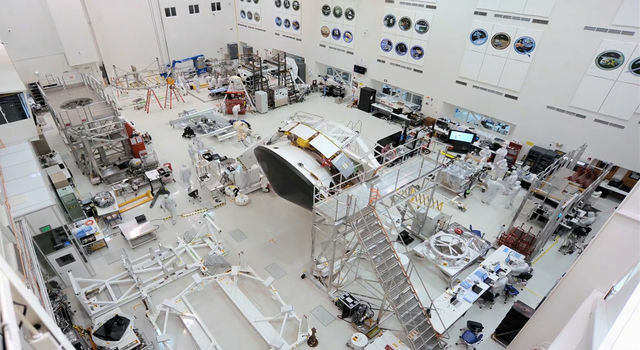 JPL and Lockheed Martin collaborate on operating the spacecraft. JPL is a division of the California Institute of Technology, Pasadena. Information about the Mars Student Imaging Project is available at: http://mars.nasa.gov/msip/ . For more about the Mars Odyssey mission, visit: http://mars.jpl.nasa.gov/odyssey . For information on the prize and eligibility criteria, visit: http://www.sciencemag.org/site/feature/data/prizes/inquiry/ .